Each seasonal cycle informs, impacts, and inspires growth. American Authors translate those cycles of change into genre-blurring alternative anthems, bordering pop ambition and rock spirit undercut by a rhythmic hip-hop boom. Touting airtight songcraft and sonic adventurousness, the Brooklyn-based four-piece—Zac Barnett (vocals), James Adam Shelley (guitar, banjo), Dave Rublin (bass), and Matt Sanchez (drums)—push forward and progress yet again on their 2018 third full-length, the aptly titled Seasons. Rather than tread familiar territory and record in Los Angeles or New York, they retreated to a mountainside studio twenty minutes away from downtown Nashville. Surrounded by woods and overlooking nature, they quite literally experienced all four seasons of Tennessee weather from winter snow to summer sun. Simultaneously, they embraced formative nineties influences, spanning alternative stalwarts such as Weezer and Nirvana and West Coast rap a la Tupac. Beyond embracing analog synths, they proudly incorporated “more guitar.” Settling into this mountain hideaway, they wrote 40-plus songs in between “watching the leaves turn, clouds roll in, and hawks in the sky,” as Matt recalls. Collaborating alongside producers Cason Cooley and Trent Dabbs, the band leveled up their signature sound. 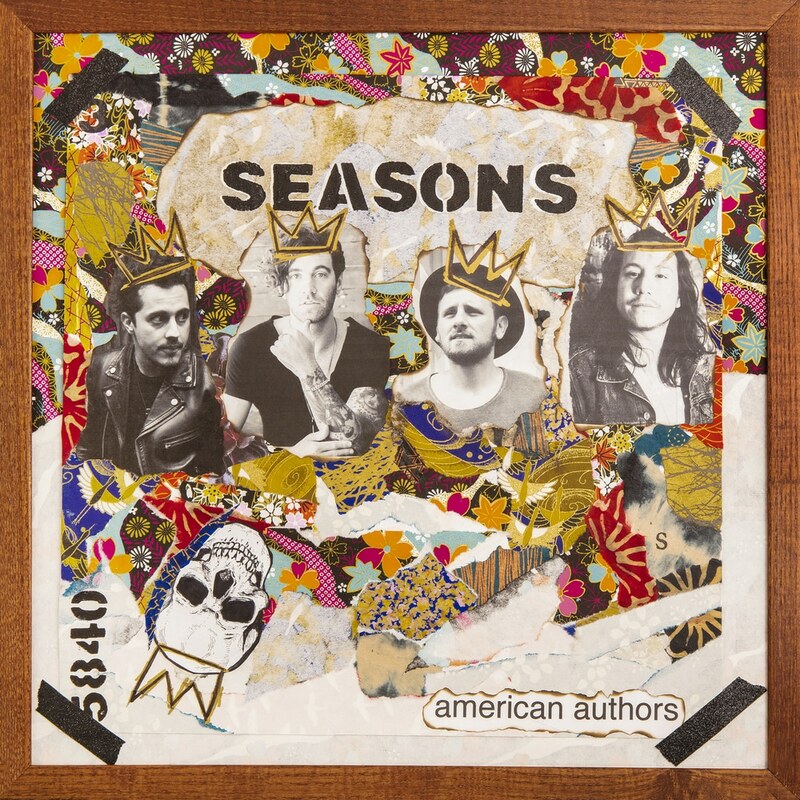 In the end, Seasons shows American Authors at their purest and most powerful.